Grow Your Own Food is an information series on Gardening in Canada that covers every aspect of growing your own food at home. I help you every step of the way so that you can have the garden you dream of. This series was originally written for and published on Food Bloggers of Canada. Growing Asparagus is one of the biggest edible investments you can make in your garden. It is a hardy perennial that takes very little work once the bed is established. Plants can be started by seed or you can buy one year old crowns from the greenhouse or garden centre. Buying one year old plants means you can start harvesting a year sooner. It does take 3-4 years from seed to your first harvest, the payoff for your patience is fresh home grown asparagus for up to 20 years! Now that is an investment worth making. Where Should You Plant Asparagus? Asparagus is planted in early spring as soon as the bed can be worked. You want to find a good sized permanent spot that will be only used for the asparagus. It loves full sun so keep that in mind when choosing a spot. 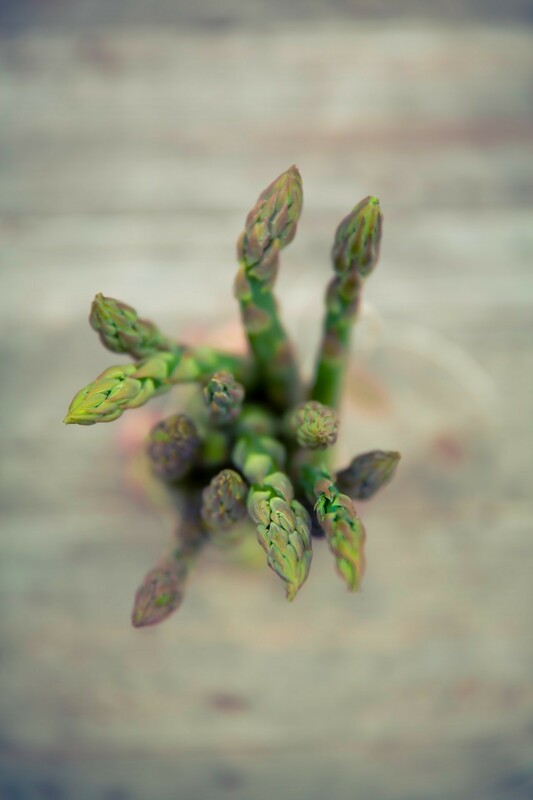 Because of the permanent nature of asparagus take the opportunity to create a lush nutrient rich spot, dig the bed well loosening the soil and adding amendments such as compost, manure and peat moss. Take a bit of extra time to weed the spot well. Asparagus also appreciates good draining soil so consider adding a bit of grit if your soil is heavy or dense. It is a good idea to put a layer of compost on the bottom of the trench to help feed the plants for many years to come. 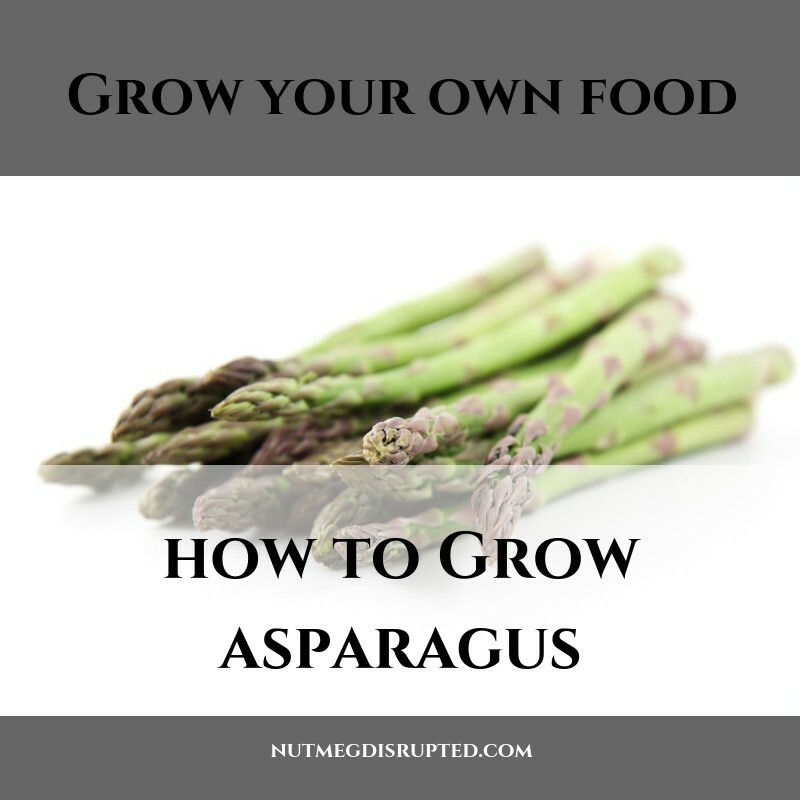 How Do you Grow Asparagus from Seed? Plants can be started from seed about 4 weeks before the last expected frost in your area. Just a note that growing from seed will add an extra year to the wait time before you can begin to harvest the shoots. To grow asparagus from seed start them indoors in 2 inch pots as early as the month of February. Soak the seeds for 2 hours before planting. Seeds should be planted at a depth of around a 1/2 in. They need to be set someplace warm, warmer soil temperatures can help speed up the germination time. Now you need to be patient as it takes anywhere from 2 – 8 weeks to spout. Seedlings are ready to transplant when they are 10-12 weeks old and all danger of frost in your area has passed. Space the seedlings a foot apart in 4 inch deep holes. Continue adding soil to the crowns as they grow. How Do You Plant Asparagus Crowns? Asparagus crowns are planted in trenches so you will want to dig your trench to a depth of at least 8 to 12 inches and 12- 18 inches wide. We are going to make mounds down the center of the trench to plant the crowns on. A great idea is to use compost for the mounds but the garden soil will work as well. Space each mound around a foot apart, it may seem like a lot of space but it will grow into a nice thick patch. To plant the crowns you need to drape the roots over the mound. Cover the roots with a few inches of soil and water well. As the plants begin to grow continue to add soil leaving a few inches of the shoots exposed above the ground. Continue adding soil until the trench is full. Water regularly in the first year to assure the roots have ample moisture to get established. You will see shoots emerging from the soil in the spring. They are still establishing their root systems so even though you may be temped, resist the urge to harvest the spears. Allow them to complete their life cycle for the season. Cut the foliage to the ground in the fall or the following spring. The next season you can begin to harvest your asparagus for a two week period. Mature spears are 6 to 8 inches tall. If you started your plants from seed, skip harvesting this season and allow the plants to mature for the year. The next season means you can harvest for around 4 weeks. Plants started from seed should be harvested for a two week period. Next season you can harvest freely. When your plants are fully mature you should be able to harvest for up to 8 weeks. When the shoots start to come up thinner towards the end of the season it is time to stop harvesting for the year. To harvest use a sharp knife and trim the shoots at ground level. If the tips have started to open up it is best to leave them on the garden as they will be tough. You can top feed the soil with compost every spring before the shoots start to show. It is very important to maintain weeding throughout the season. After they are done producing for the season they turn into delicate fern like plants that will turn golden in the fall then die. The plants will need to be cut to the ground every year before new growth starts. You can do this in fall after the foliage had died or you can wait until spring after the snow has melted. 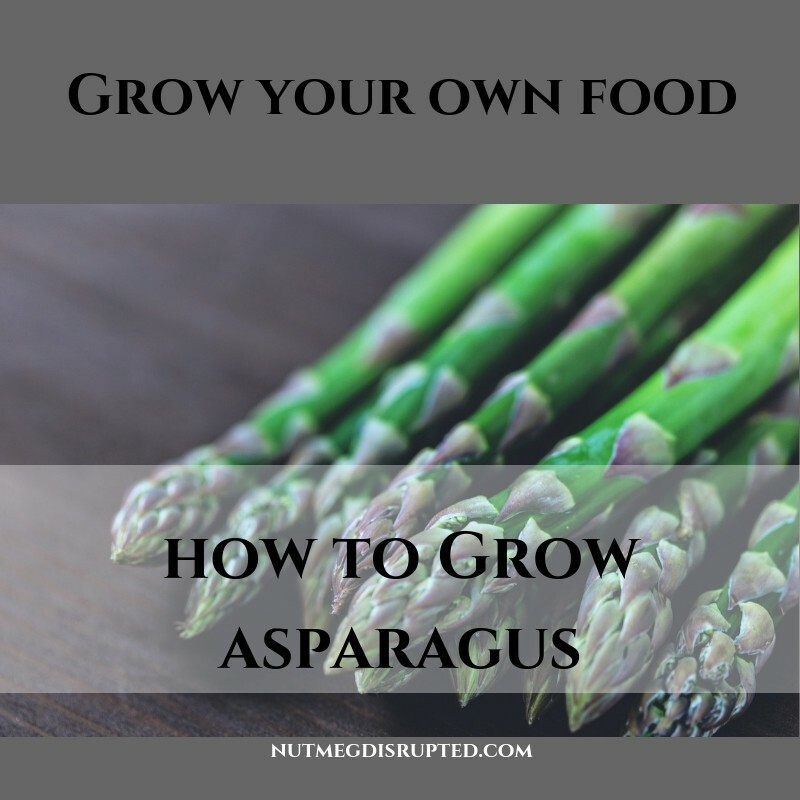 You will do this every year for the life of your asparagus patch.